Relocating in or out of Sheffield? Our dedicated, experienced team provides professional, reliable house removals in Sheffield and its surrounding areas. Found your dream apartment in Sheffield city centre? Moving out to the sticks within one of the region’s charming, rugged rural locations? Our award-winning removals experts are on hand to help – whether you need a full removal service, storage or packing support. 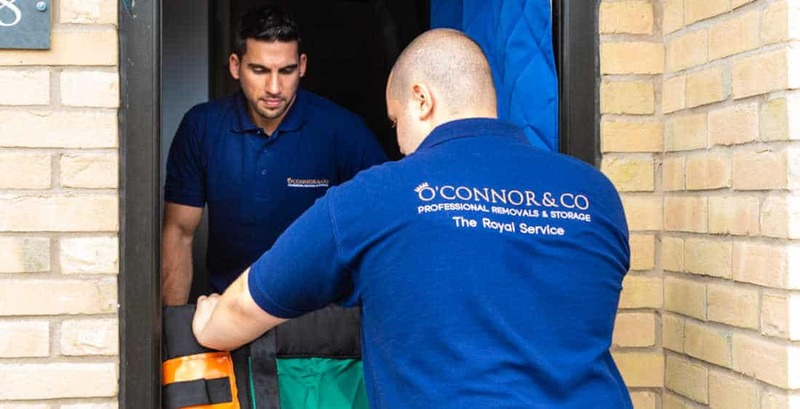 O’Connor & Co are a family business with a reputation built upon the professionalism of our removals service and our customer service. We always go the extra mile to ensure your move is as stress-free as possible. Our team have successfully completed many moves in Sheffield and its surrounding areas – so we have excellent local knowledge of the region. We can offer a wealth of advice and help, with added planning and preparatory support to ensure that your moving day goes smoothly. We’ll be on hand throughout the process with tips and advice on how to pack delicate items, help when your moving dates change or guidance on how to properly prepare for your upcoming relocation. Got large or valuable items to move? Don’t worry. We have the skills, expertise and equipment to cover all eventualities and unique or unusual requirements. To ensure everything is moved safely we also supply a range of high quality padded protective covers for your home, appliances and items such as TVs, pictures, sofas and mattresses. Planning for your move is essential and we are with you every step of the way providing help, advice and tips to ensure everything goes smoothly. We will complete a comprehensive pre-move survey to give you an accurate quotation and discuss with you how any delicate, large or awkward items will be moved. We offer a range of moving packages to choose from offering a range of options including our high quality padded covers, packing materials, furniture disassembly and reassembly as well as packing and unpacking services. No item is too big or small, we provide flexible secure storage whether you are decluttering, downsizing or simply can’t move into your new property straight away. From one-off items to complete sets of furniture and precious possessions, we have a flexible solution to meet your needs – so you can rest safe in the knowledge that your belongings are in safe hands. Our secure warehouse is protected with infrared CCTV and alerted with fast response technology. We collect your possessions, store and then deliver them back to you when you are ready. Looking for a Sheffield house removals company with a difference? Contact us today to discuss your requirements and obtain a no-obligation quote.